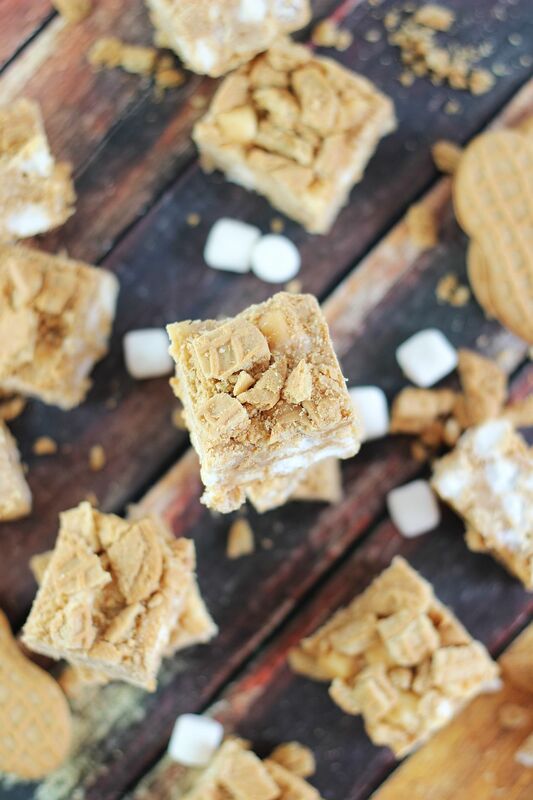 Fluffernutter Nutter Butter Peanut Butter Fudge is a quick and easy peanut butter fudge filled with marshmallows and crushed Nutter Butter cookies! It’s completely irresistible, bite after bite. This fudge. I love it. It has so much going for it. because it has so much peanut butter in it. 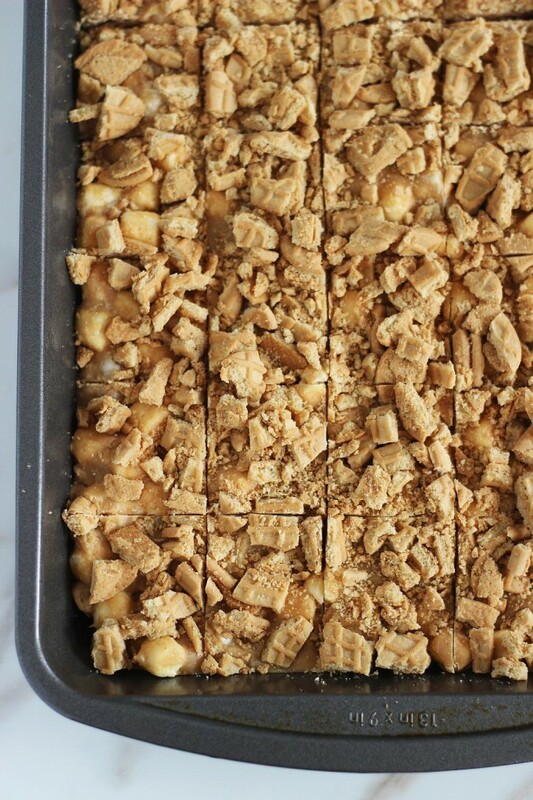 For starters, it’s a peanut butter fudge. So there’s that. But it’s anything but ordinary peanut butter fudge because it also has chopped Nutter Butter cookies and mini marshmallows mixed in!!! 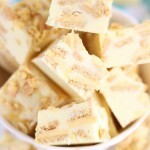 Therefore, the most accurate name for this fudge is the following: Fluffernutter Nutter Butter Peanut Butter Fudge. Isn’t that the best title of a recipe you’ve ever heard? Say it 10x fast. 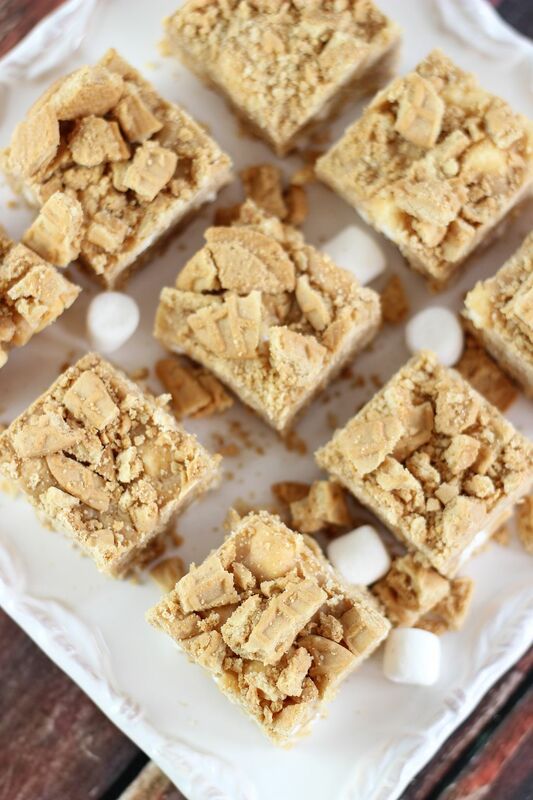 For simplicity’s sake, we’ll go with Fluffernutter Fudge, but between you and me, I prefer the longer version. I love the name of it for both its thorough descriptiveness and for its rhyming. Don’t you agree? There’s a lot to love here in terms of flavor. 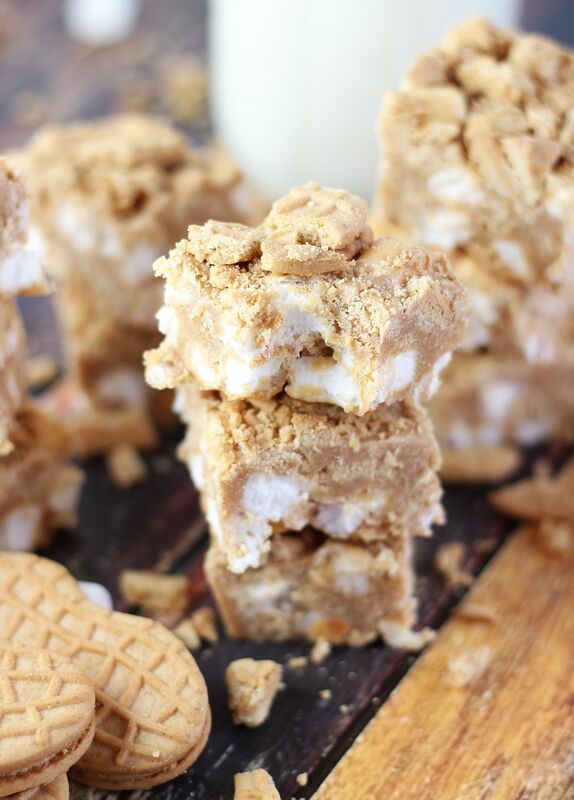 Tons of peanut butter goodness and lots of marshmallow deliciousness. If that’s not enough, this ridiculously simple fudge can be made in about 10 minutes. Seriously. Start-to-finish. I’ve scarcely known an easier recipe. It is literally ready in minutes. It also has a very short ingredient list. 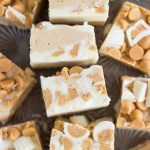 This fudge only requires five ingredients. Yes, only FIVE. For as long as the recipe title is, it’s a very short list of ingredients! 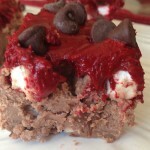 Admittedly, it’s not the world’s most pretty dessert, and you also can’t exactly tell what it is by looking at it. Like, look at it. Would you have a clue in the world what it is? Thankfully, it really only matters how it tastes. And it tastes amazing! I took a tray of this to a work party for my S.O. and while it drew a few skeptical looks at first, it was very well-received. 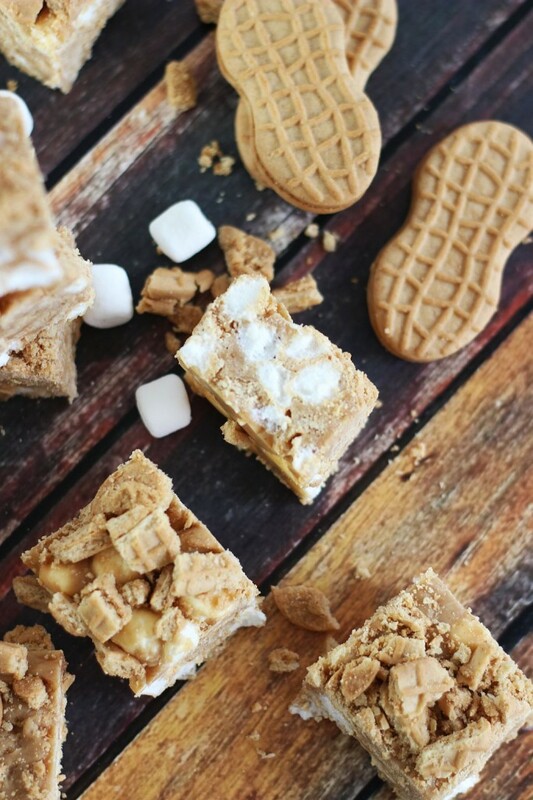 People raved about the creaminess of the fudge, the crunchiness of the Nutter Butter cookies, and the general abundance of peanut butter and marshmallow wonderfulness. It was my ace in the hole. 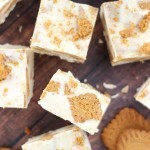 A crowd-pleaser recipe that came together in minutes! 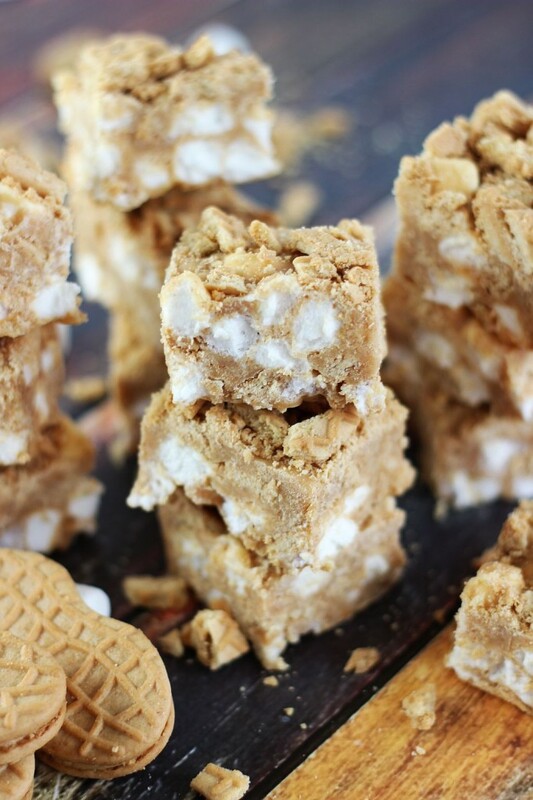 This Fluffernutter fudge recipe is a winner. 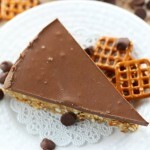 This looks heavenly and soooo sinful! I am drooling 🙂 Pinning! I’ll take all your leftovers! Love fluffernutters and this is such a creative treat. Pinning! Yum! S.O.’s work friends! How ’bout us? (Don’t post this!) I wish I had someone to make these for.